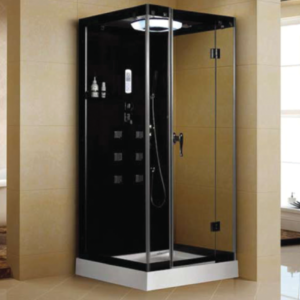 A shower enclosure can be heaven sent especially in homes where a particular family member has a disability. Pretty handy especially when you are in a rush and need a quick in and out. It saves more time than running a bath. If you are someone that is particular about the environment, then you would love to know that the average shower of 5 minutes uses 12.5 gallons of water while the average tub needs 25 to 45 gallons of water to fill up. 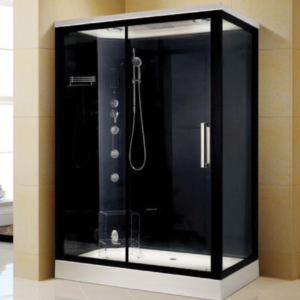 In addition to some of the advantages mentioned, in a situation where you find yourself running late, a shower enclosure speeds things up by saving time spent in running a bath and waiting. A quick in and out saves minutes. Verdure Wellness is one of the top to go to places for steam cubicles in India. They do not just provide steam cubicles, they deal in the best of the best. Shopping with Verdure Wellness saves a lot of stress as you can buy or purchase your steam cubicle online saving you a potentially stressful drive. 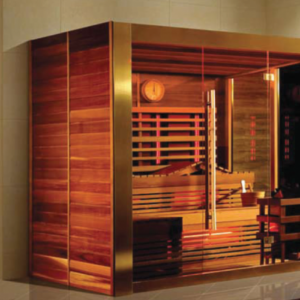 Verdure Wellness completely focuses on the satisfaction of their customer and have a team of highly trained personnel when it comes to their installation. 1. 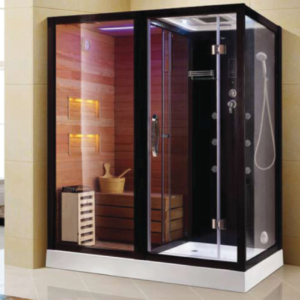 Complete shower room with massage jets. 2. Radio, exhaust fan and speaker. 1. Aluminium prole in brown colour, white acrylic. to pamper yourself. Now you can experience a healthy bathing and rejuvenation. 3. Time/ temperature setting, light and ventilation fan. 1. 6 mm tempered glass, aluminium profile.